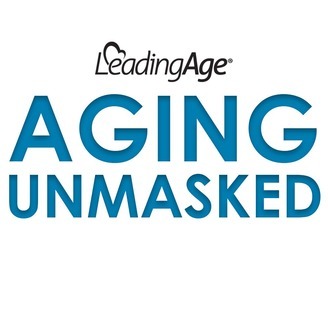 Aging Umasked is a new podcast from LeadingAge where we normalize, humanize, and unmask taboos and aging. Aging Unmasked is produced by Charlie Visconage. Special thanks to Tessa Atkinson-Adams, Amanda Marr, and Marquita Crawford. Our music was generously donated by Matt Chaconas. You can hear more from him at @extraroom. Send us your feedback at podcast@leadingage.org. 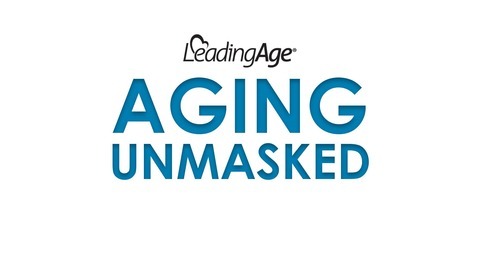 Subscribe to Aging Unmasked on Apple Podcasts, Google Play, and Stitcher. Share it with a friend if you like what you hear. Welcome back to season 2 of Aging Unmasked. In this episode, we explore a full spectrum of fitness with author Fred Bartlit (https://strongpath.com/), Vitalize 360 coaches and participants (Susan Flashner-Fineman, Chris Young, and Elaine Seidenberg) at Orchard Cove, and Adriana Winters at Knollwood. #5 Embracing LGBT Older Adults with Hadley Hall, Jerry Brown, Donna Lazartic, and Jane Danner.